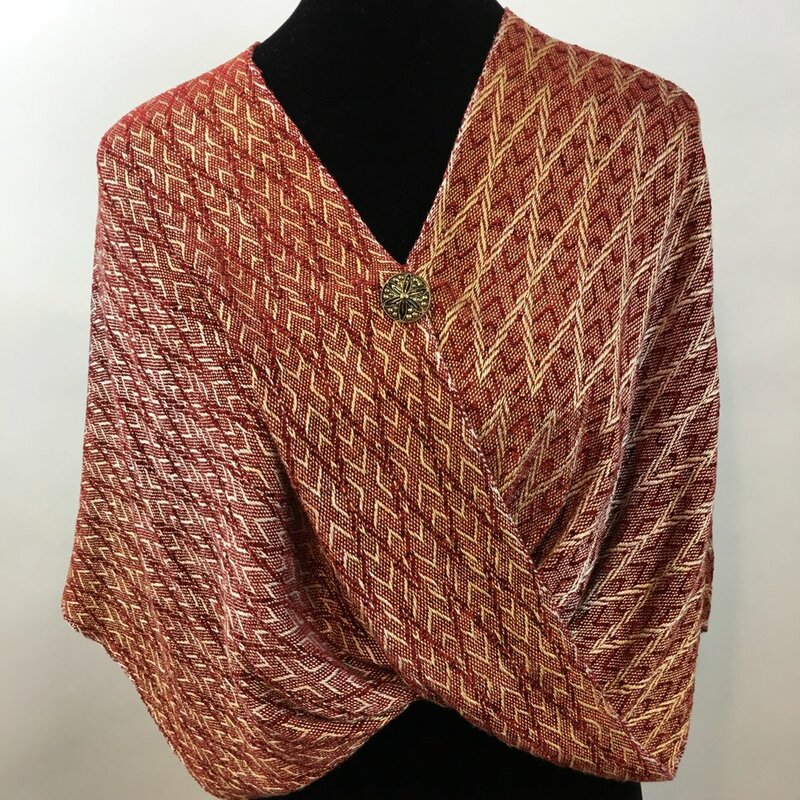 Anne's hand woven designs are one-of-a-kind pieces created from natural fibers: cotton, linen, silk, wool, alpaca, bamboo, and tencel. All are designed, crafted and finished by her, and she incorporates hand dyed yarns and fibers into her designs. Some pieces include glass beading, handmade dichroic glass pins or buttons, and shawl pins. Though many of the designs featured here are for women, Anne also designs handwoven neckties and scarves for men. Her work has been shown at galleries in Dallas, Texas, and Taos, New Mexico, and she accepts commissions as well. Visit her Etsy store, WovensByTisse. Anne founded LoomStyle in 2018, a group of custom weavers in the North Texas region, offering our products at artisan markets. She continues to teach at various locations on a regular basis in the Dallas area. Anne has also been on the teaching faculty at the Creative Arts Center of Dallas, Southern Methodist University, and at the Plano Arts Centre. She has won juried awards for weaving excellence. She is the recipient of a Rosenfield grant for Teaching the Arts and was chosen as Artist-in-Residence, sponsored by the Harrington Public Library in Plano, from December 2017-February 2018.